However you want to describe it, Luis Pena is radiating confidence heading into Saturday's Valor Fights 41 co-main event. Pena, a 23-year-old Arkansas transplant who has called St. Louis home since 2015, has started 2017 with a bang following a showstopping 2016. Pena got everyone's attention last year with his 2-0 amateur start and then 2-0 pro finish to the calendar. That stretch earned him the STL MMA's Breakout Fighter of the Year award. You can read more about Pena's year and his combat sports background HERE. Just a few months into 2017, Pena picked up right where he left off. In his pro K1 debut in January for Gateway Fighting Series: New Years Resolution, Pena faced Rome Lindsey and in the first round landed a highlight reel switch flying knee KO that produced a sickening thud as it landed on the chin and left Lindsey out cold on the mat. In February, Pena competed in the Fuji Missouri state Brazilian Jiu-Jitsu championships and in the finals of the expert division, he faced brown belt, Clay Mayfield. Pena, a Rodrigo Vaghi blue belt, racked up a 22-0 lead before submitted Mayfield ( a two-time Gracie National Championship winner and a Gracie World Championship winner) with a heel hook. Those two performances reassured Pena's self-belief and though he has every reason to be cocksure, the St. Charles MMA lightweight doesn't see it that way. "It's not so much a confidence thing, it's just that I have been on a roll and it is just my time," Pena said. Pena - a long-limbed 6-foot-3 2016 Golden Gloves champion and two-time state qualifying wrestler in high school - has always risen to the occasion when it comes time to turning on the house lights and filling the seats with eager fans. "When it's on the big stage, I step up to the plate," he said. "You might sub me in the training room. You might land that shot while we're sparring, but when the lights are on that's when I am on." On Saturday, at Valor Fights 41: Cala vs. Wright at the Evolution Sports Gym in Elizabethon, TN, which will air live on FloCombat.com, Pena will take on "The Bosnian Barn Cat" Damir Ferhatbegovic. The 22-year-old Ferhatbegovic came to the United States from Bosnia at age seven. He started competing in karate and kickboxing at age 13 and moved on to BJJ at age 15 and then embarked on full-on MMA training at age 18. 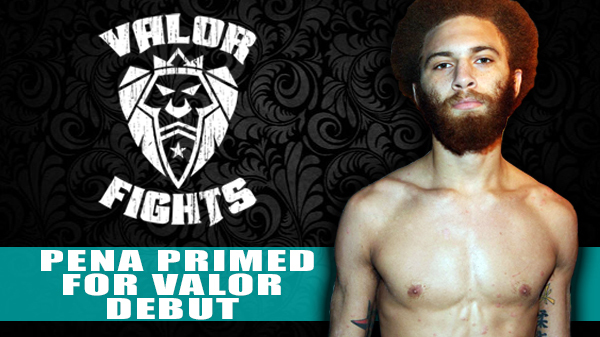 He trains with Shield Systems MMA in Tennessee and he's been a part of Valor Fights since pretty much the beginning of his career. Going against the crowd favorite is something Pena feasted on as an amateur. From Arkansas to Tennessee, to Mississippi, to Nevada, he relished the role as spoiler during his ammy run. "Going in and beating up the hometown boy, that's how I did my whole amateur career," Pena said. But Pena is not just all brash. He's hyper aware of the challenge that is before him. 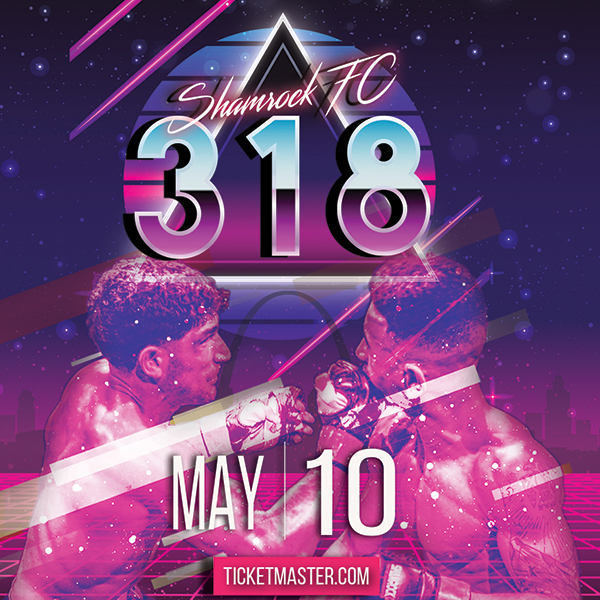 Extremely well-rounded and unbeaten at 3-0, Ferhatbegovic will be Pena's strongest opponent to date. The three wins by Ferhatbegovic have come by TKO, submission, and decision. His short amateur, half of which was spent under the Valor banner, netted a .5-1 mark. "This is the fight that I've been searching for my whole career," Pena said. "Damir Ferhatbegovic is the type of opponent that I will be able to let it loose against. I've wanted to have this chance to showcase to people around the country what I have gotten people in St. Louis talking about."